Pioneersports had the most liked content! 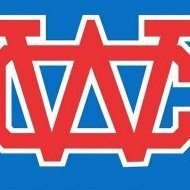 Warren County Athletic Department Warren County High School • 199 Pioneer Lane • McMinnville, TN 37110 12 March 2019 On Monday, Matt Turner was named the Head Football Coach of Warren County High School by Executive Principal Jimmy Walker. Matt is and will continue to be a valuable asset for our students, our school, and our community. Matt has had a positive impact on many of our students, past and present. Matt is a tireless worker and will model the behavior he expects from our student-athletes as well as create a culture that promotes a strong work ethic, builds positive relationships, and helps develop the whole student. Matt’s ability to motivate, encourage, and affirm young people is evident and has been expressed by numerous current and former student-athletes. There is no doubt Matt has the passion for football, but more importantly, he loves this community. His desire to mold young men we can all be proud of is unmistakable. Warren County and Warren County High School has a great leader guiding our football program and we are very excited. Brief Bio of Matt Turner Matt, a native of Rock Island, TN, graduated from Warren County High School in 1997. He earned a full ride scholarship from UT-Chattanooga during his freshman year after walking onto the team in the fall of 1997. Matt was a four-year letterman for the Mocs Football team playing from 1997 to 2000. He earned his degree in exceptional education from UT-Chattanooga in May 2002. Matt Turner began his coaching career on the UT-Chattanooga football staff from 2000 to 2002 as an offensive assistant. 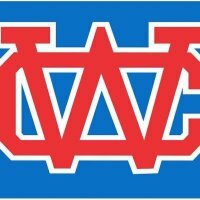 He continued his coaching tenure in Warren County starting in the fall of 2002 as an assistant coach on the WCHS Football staff and as head coach of the WCHS Wrestling program. Coach Turner’s overall coaching experience in football includes 2 years at the collegiate level, nine years coaching football at WCHS, and two years as head coach at Warren County Middle School. He is currently the head coach of WCHS Wrestling and has a total of 11 years head coaching experience with the wrestling program. Matt has been married for 16 years to Autumn Turner who is a 2001 graduate of UT-Chattanooga. She was also a four-year letterman on the Lady Mocs Soccer team. The Southern Standard is quite a good source !! The coach has a great background!! You can get on here and pi$$ and moan all you want but the decision has been made and there is absolute nothing you can do about it. Either support the program or not. Pioneer baseball will ok.
Riverdale / Blackman who ya got? Pioneer fans can only hope it is his last game. I think they are currently dressing around 40 players. this game has been moved to Thursday night. We can only hope that Oakland will be looking ahead to the 1st round of the playoffs and sitting many if not all of the starters. Still looking at a running clock. Pioneers will have to wait until practice this afternoon to see how many parents let their little Johnny's come back to face the big bad GIANTS of rutherford co. I think Cookeville grinds this one out to lock up a playoff spot. According to the Power Rankings for this week, Warren County will be a 56 point underdog. What is your prediction for the total points scored this week? Pioneer fans have to face the reality that we are not a good team this year. We are a team with only 40 players, absolutely no passing game at all with little to no speed. Our only hope for a win now rest solely on the coffee county game and the future of football in Warren county is hanging by a thread.